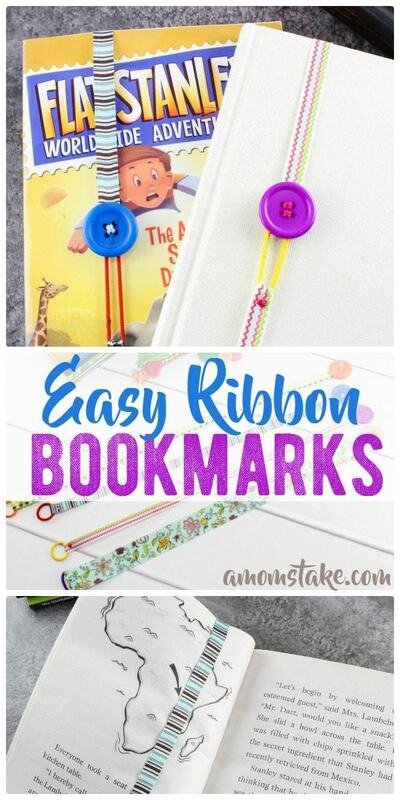 Help your kiddos stop losing their page with these adorable, and easy DIY Ribbon Bookmarks! We’ll show you how you can make your own ribbon bookmark in just minutes, or make a whole dozen and it will still only cost you a $1 or $2. Cheap, easy, darling, and practical – could you ask for much more? Let’s get started! Affiliate links are included here for your convenience. Measure the height of child’s favorite book series. Double that measurement and add an extra inch for seam allowance and to wrap over the pages. Cut a piece of ribbon to that length. Thread the needle with embroidery thread and tie a knot at the end. Select a hair band, and slide the end of the ribbon through it and fold it over. Take the threaded needle and sew 2-3 tiny stitches so the hair band is secure in the loop. At the other end of the ribbon, sew the button on securely. Now grab the book you are reading, open to the page you’re on, and wrap the ribbon around it so the button and hair band is on the cover. Just loop the hair band around the button and your page is marked until you start reading again! Loved this post? Pin it to save it for later so you can easily find the tutorial again! Oh my goodness! This is the cutest idea ever! My grandkids are book worms and making bookmarks is the perfect weekend craft. Thanks! I foresee this as being a spring break or summer vacation project. Both my 8 year old daughter and 11 year old son would enjoy making these. Oh that’s a really great idea! I can see using that instead of rubber bands to hold boxes together too! I really like this. It is easy enough for the girls to do with supervision. They will make great gifts. That’s a great idea for a bookmark. As careful as I am, when I use a regular bookmark, I still end up damaging the spine over time. 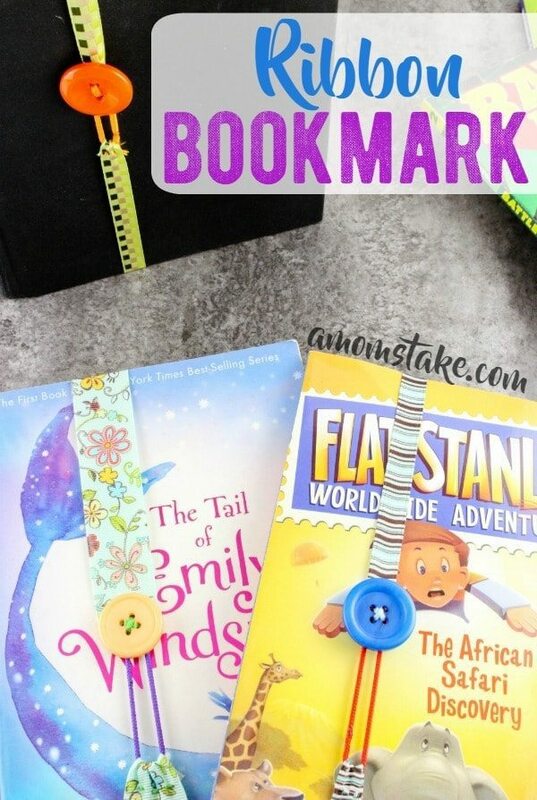 These are super cute bookmarks! It’s make a great craft and gift! It’ll be awesome gifts for book lovers! So excited about this idea! So simple yet why are these not everywhere? Our traditional bookmarks are always falling out and not fulfilling their purpose to hold page.